Demand rises in a worldwide series of the new materials at national and international level. The metal matrix nano-composites are extremely beneficial in several applications such as aerospace, automobile, armed forces, and other commercial applications due to lightweight and cost-effective. In the present study, three various hybrid compositions, namely nano-Al2O3 (20–30 nm), nano-SiC (50 nm), and Mg 1 wt% (fixed), were used as reinforcement materials. Magnesium is to enhance the wettability of Al2O3 and SiC particles in the Al matrix. The compositions are executed at 1.0, 2.0, 3.0, and also 4.0 weight % of nano-Al2O3 and nano-SiC. The cast samplings undertake the tests like heat treatment, microstructural examination, density, tensile, hardness, impact, SEM, EDAX, and XRD analysis. SEM images subject that the nanoparticles relatively disperse as well as attain fine grain microstructure in the matrix. The results reveal that the reinforcement of nanoparticles in Al 7075 matrix substantially increases the mechanical behaviour when compared to base metal. 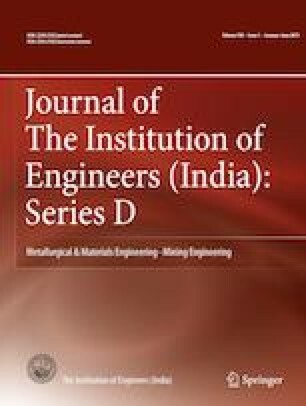 The author wishes to thank the Department of Mechanical Engineering, Jawaharlal Nehru Technological University, Ananthapuramu, India, for providing facilities and necessary support in conducting experiments and also Dept. of Mechanical Engineering, MITS, Madanapalle, India, and Dept. of Mechanical Engineering, JNTUA, Ananthapuramu, India, for their support and discussion in the research work.